Slim. Streamline. Sleek. 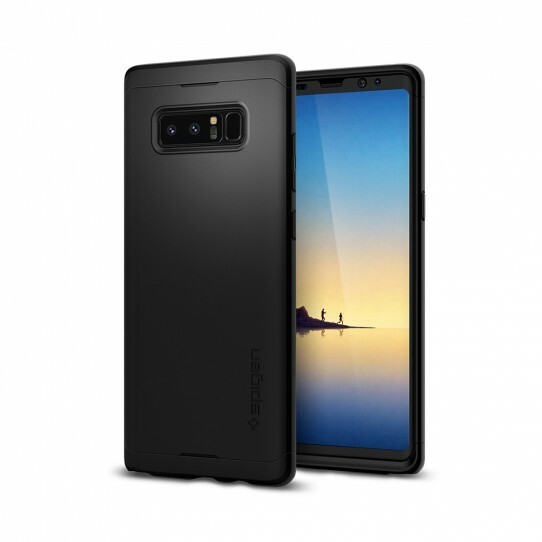 The Thin Fit 360° is tailored to provide your Note 8 with premium ultra-thin 360° coverage, including a PC case and 2 tempered glass screen protectors. The secret to the durable yet 0.76cm-thin construction of this case is its premium hard PC material. Its split-type body was precisely engineered to join together and combat everyday scratches. The tempered glass protection keeps the screen safe without sacrificing an inch of 3D-Touch compatibility and screen clarity. Armor up with the slim Thin Fit 360° to enjoy unbeatably thin optimum coverage. This case is QNMP™ Compatible and supports magnetic car mounts.